The Board of Education heard input from parents about qualites they wanted to see in an interim special education director on Thursday, August 8. Over the course of an hour, 11 parents stood up to tell the Board of Education what they want and expect from the new interim special education director on Thursday, Aug. 8. The most common requirements shared by almost all of the parents was the need for an interim director who is independent, knowledgeable in special education law, practices transparency and is communicative with the parents of special education children. "This year, the door to communication was shut tight," Courtney Darby, co-chairman of the Special Education Advisory Committee, said, speaking on her own behalf at the special meeting. "Working on the Special Education Advisory Committee over the past year, I can tell you that our concerns were ignored and went nowhere. Each meeting, there was a section on the agenda called `myth debunking,' which was when parents would describe systemic parent concerns. Clearly describing concerns as `myths' was not constructive." Previously, the board has been criticized for allowing a lack of parental involvement in the decisions made surrounding the special education department after the initial complaint was made to the state Department of Education in March. On June 25, the Board of Education unanimously agreed to hire its own private investigator -- Chicago-based attorney Sue Gamm -- to review the complaint and subsequent allegations against the Darien Special Education Department, a process in which the members of the advisory committee wanted to participate. The decision came following a private parents' meeting with several representatives that yielding information regarding IEPs being changed without parents' permission -- a violation of the Individuals with Disabilities Act. Part of the announcement included the scheduling of a special meeting to receive parents feedback about the hiring of the interim director who had been announced prior. "We need this interim director to have walked the walk, to see the potential of all these students, and to know that each of these children deserves the same quality education as their general education peers," said Kathryn Doran, a parent who spoke at the meeting. Other characteristics that Doran said she wanted to see in the interim director include independence, a knowledge of special education law and classroom atmosphere and strong communication and compassion. Parent Debbie Ice noted that whomever is chosen to "manage" the special education department needs to love and respect children and places the welfare of the children as their top priority. "All managers need interpersonal skills, but the manager who handles special education, particularly in this town, at this time, should be able to listen and establish a one on one rapport quickly, because they will have to restore a trust that has been damaged," Ice said. "We should be proud to live in a town with amazing parents, with fiercely protective mothers who spend hours in the library, studying their child's issues, reading books, visiting online sites and conferring with specialists." At the last Board of Education meeting, Chairman Elizabeth Hagerty-Ross announced that two parents will sit on the personnel committee that will identify, interview and recommend the person to oversee the department. According to Gamm's contract, she will be responsible for "reviewing and investigating allegations that individuals employed by the Darien Public Schools violated special education laws during the 2012-13 school year." This includes looking into allegations that Individualized Education Plans were altered without parental consent; that illegal predeterminations were made prior to the Planning and Placement Team meetings; illegal systematic policies were put in place that deprived students of what they need; misrepresentation of data reported to the state Department of Education; or any other issues put forward by the board of the investigator. The state Department of Education recently released the first of two reports following an investigation of the Darien Public Schools' special education program with recommendations to correct 10 areas that it found to be noncompliant with special education law. In total, the state made 16 recommendations. The other six recommendations "may not rise to the level of a specific violation of IDEA (Individuals with Disabilities Act)," but were "unclear or incomplete." The report concluded that the training materials issued by Deirdre Osypuk, Darien's special education and services director, used during the 2012-13 school year "contain overly restrictive, inaccurate, noncompliant and/or incomplete guidance." There is no definitive time line for the release of the second part of the report, save that it will be made available at the end of the summer. Regardless of the individual attributes that the parents want to see in the new interim director, the one thing that was ubiquitous was the need for the rebuilding of trust and evidence that a lesson was learned. "We need to see our administration, Board of Education and our community demonstrate that we have learned from our mistakes," said Kit Savage, a parent. 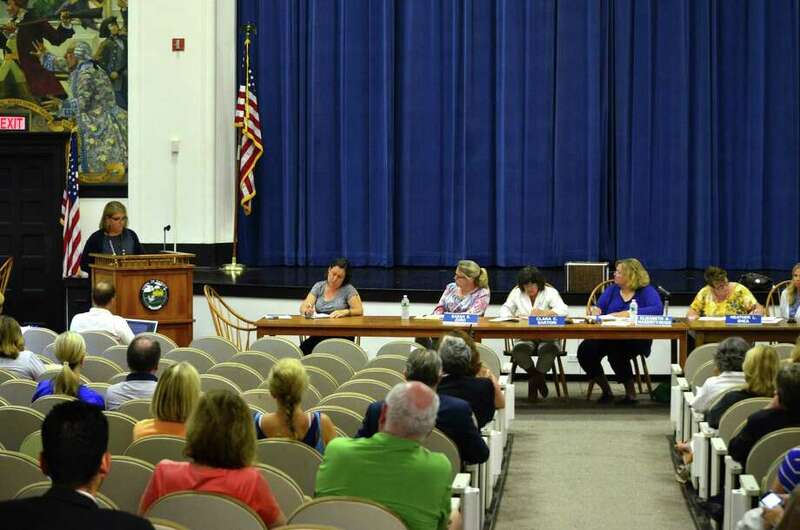 "Show that transparency, parent involvement and taking clear steps to ensure that a positive cultural shift is infused throughout the Darien Public Schools happens. We that is in place, the interim director will be able to succeed and our community will be able to heal."